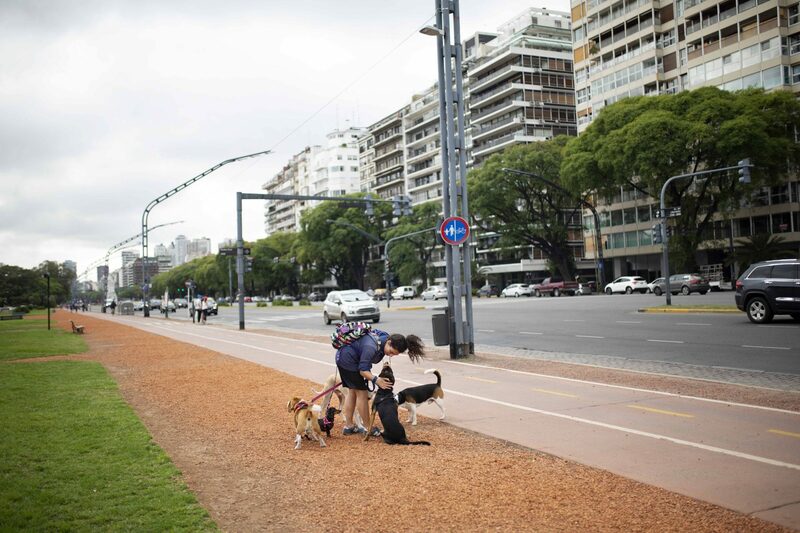 Only by passing a few days in the Argentine capital, you can’t help but notice the extraordinary amount of dogs, and their poops, everywhere on the streets. Once, during a dinner at a restaurant in the dog friendly Recoleta neighborhood, I counted 68 dogs passing by in dog peak hours between 8PM and 10 PM. More striking however, are the dog walkers surrounded by an impressive assembly of four-legged floofs in the morning hours. 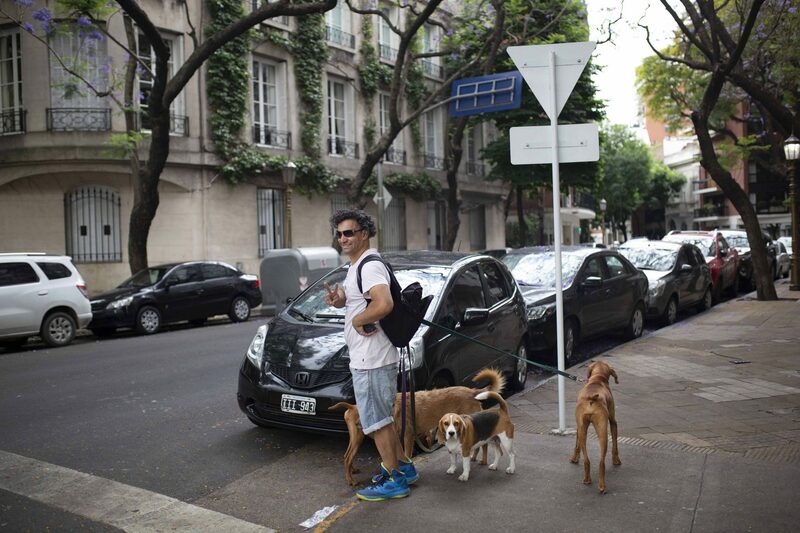 There are 6000 dog walkers around Buenos Aires, and some five year ago, some of them formed their own dog walkers union, Sindicato de Trabajadores Caninos. 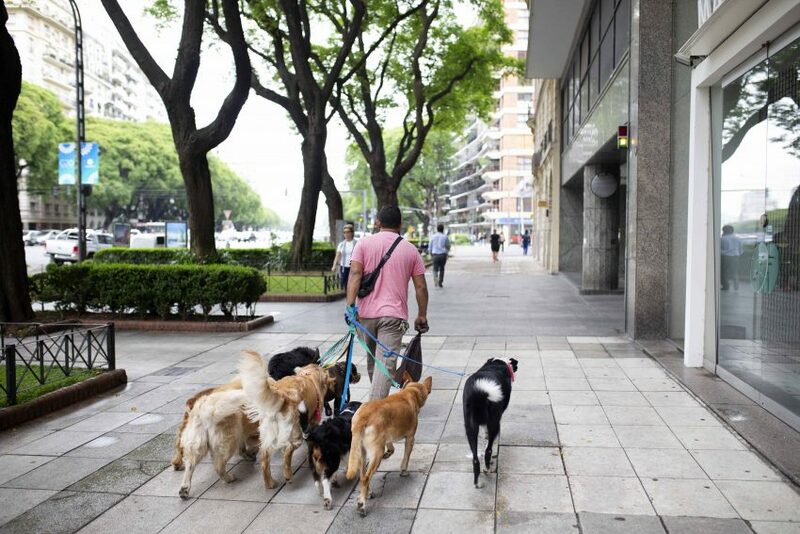 A dog walker might have between 6 and 20 dogs at a time, walking calmly with the heard heading to a park to bark freely. 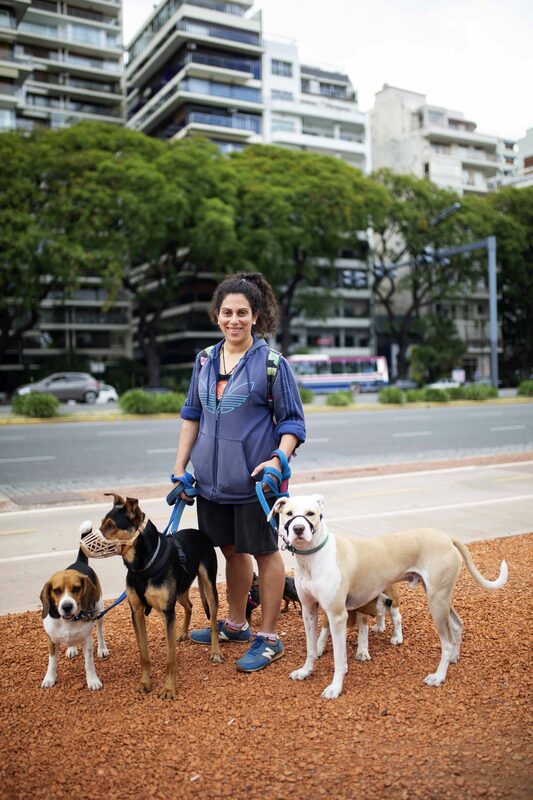 The dog walker will pick up the dog in her home at the same time every day, ringing the bell, and waiting for the owner, or housekeeper, to come down with the dog. The doggy group stroll might last for hours depending on the dog walker. It is estimated to be 480 000 dogs living in city, a number presented by the city government. Surly, if you start asking for the dogs names, there will be a lot of Lolas and Milos, as well Luna, Olivia, Rocco, Teo y Simón. There are heaps of puddles in all sizes, labradors, Golden Retrievers, French Bulldogs, Yorkshire, Border Collie and dachshund or wiener dog. According to federation for purebred dogs «La Federación Cinológica Argentina (FCA)», the French Bulldog is the most popular these days, while the Jack Russell is a runner up. There are also dog hairdresser service for dogs in need of a fluffy treatment. These companies come pick-up dogs in their home and take them the saloon to massage in shampoo on the little furry one.